After a near decade long recording hiatus, FATES WARNING returns with “Darkness In A Different Light”, their first album of new material since the release of “FWX” in 2004. This also marks the first release for the stellar current line-up of Ray Alder (vocals), Jim Matheos and Frank Aresti (guitars), Joey Vera (bass) and Bobby Jarzombek (drums). Formed in 1982, FATES WARNING quickly gained attention within the growing Metal movement with their revered first three releases, “Night On Bröcken”, “The Spectre Within”, and “Awaken The Guardian”, which peaked at #191 on the Billboard 200 charts. The departure of original vocalist John Arch in 1987 could have heralded the end of the band, but the entrance of Ray Alder in 1988 brought FATES WARNING even more notoriety with the next three albums – “No Exit”, “Perfect Symmetry” and “Parallels” – over four short years, establishing the band as one of the pioneering and leading acts of the Progressive Metal movement. Based on the strength of the “Inside Out” album in 1994, the band had the opportunity to support Dream Theater in the US and Europe on their “Awake” tour. In 1997 FATES WARNING released the epic “A Pleasant Shade Of Gray” album, considered to be one of their most ambitious efforts to date. “Disconnected” was issued in 2000 followed by the more experimental “Fates Warning X” in 2004, which turned out to be their last studio effort for almost a decade. The silence between 2004 and now was never planned, but rather an unspoken agreement that the band needed a break. Matheos focused on OSI, a group he formed along with Chroma Key / ex-Dream Theater keyboardist Kevin Moore, and also helped original FATES WARNING vocalist John Arch put together his first solo EP, “A Twist Of Fate”. Alder had turned his attention to the bands Engine and Redemption. 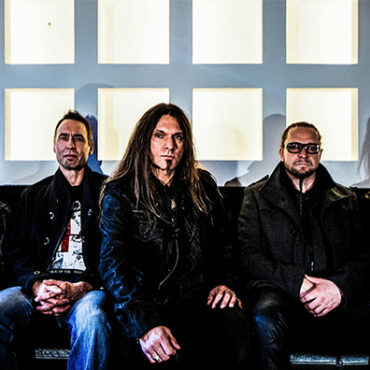 Longtime drummer Mark Zonder had in fact made the decision to leave FATES WARNING following the completion of “FWX” to explore other musical avenues. Not that the band has been completely dormant. On the contrary, FATES WARNING made a point over the past decade of performing as much as the band members’ respective schedules allowed. 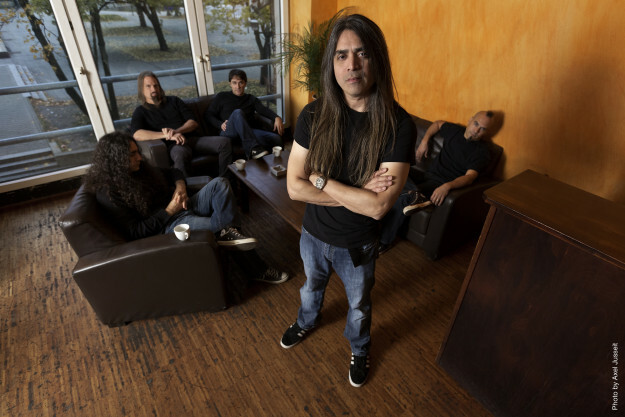 According to Matheos, work on a new FATES WARNING initially began in 2009 but “it didn’t work out for various reasons.” The material didn’t go to waste, however, and three songs were used for the critically acclaimed Arch / Matheos album “Sympathetic Resonance”, released in 2011. Matheos and Alder eventually managed to get their schedules cleared and in late 2011 the duo began writing in earnest for what would become “Darkness In A Different Light”. “Darkness In A Different Light” sees Bobby Jarzombeck taking over for Mark Zonder behind the drum kit, marking his first official album with FATES WARNING. Bassist Joey Vera is back where he belongs, and longtime guitarist Frank Aresti, who left the band between 1995 and 2003, also contributed to the new material. WARNING album, if anything, is a step away from the “FWX” sound. Matheos refuses to call “Darkness In A Different Light” back-to-the-roots, but he purposely kept the music guitar oriented; no keyboards, no samplers, no sequencing. “Under the best circumstances I’m the worst person to describe our music,” states Matheos. “I’ve been working on this seven days a week, many hours a day for the last two years, so it’s hard for me to step away from it and describe it objectively. I think all of our records have been different from one to the next, and this one is almost ten years removed from the last one so the band is quite different. I think we’ve done something, once again, that’s a progression. Slightly different musically, lyrically, and sonically, but still recognizably FATES WARNING”. FATES WARNING have always been the innovators and never the imitators; their back catalogue speaks volumes on the subject. They made it clear as far back as “Perfect Symmetry” that a band could still be progressive and write actual songs rather than being committed to dazzling people with overblown instrumental prowess. It’s a tradition that continues with “Darkness In A Different Light”. “Darkness In A Different Light” was produced by Matheos and mixed by long time FATES engineer Phil Magnotti. Mastering was handled by Maor Appelbaum. 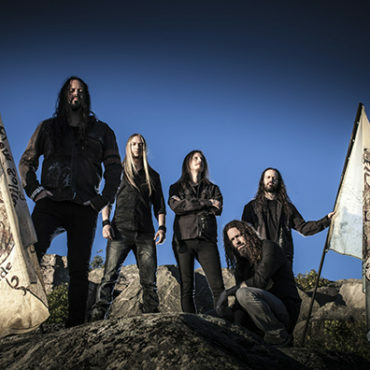 The album will be released September 30th, 2013 in Europe and October 1st, 2013 in North America via InsideOutMusic, the label’s home since FATES WARNING’s “Live In Athens” DVD release in 2005. The album will be available in Europe as standard CD, 2CD Mediabook edition, Gatefold 2LP and as Digital Download. FATES WARNING have headlining touring runs already confirmed for October in Europe and November/December in North America, with further live activity to follow in 2014 in support of “Darkness In A Different Light”.